This is the first in a series of blog posts examining unprotected watersheds in Washington State. In 1998, the Washington State Legislature passed the Watershed Management Act, which provides a framework for local governments, affected Indian Tribes, citizens and stakeholders to develop plans to manage the water resources within their watershed. There are 62 watersheds or Water Resource Inventory Areas (WRIAs, pronounced “Why-rahs”) within Washington State. In addition to the mandatory issue of water quantity, planning groups may choose three optional components to include in their plans: making instream flow recommendations that the Department of Ecology can use to establish instream flows by rule, water quality, and fish habitat. While some of the 62 watersheds have recently adopted instream flow rules (like the Dungeness Rule which was adopted in 2013, and which CELP successfully helped to defend in court in 2016), far more have instream flow rules that are decades old or no instream flow rule at all. Instream flow rules act as a “water right for the river,” and function the same way as any other legal water right, protecting instream resources from future water withdrawals. These rules are important for ensuring that there is enough water in rivers and streams to provide for clean water, fish habitat, recreation, and aesthetics, and are especially important given the threat of climate change and the state’s historic drought of 2015. WRIA 19, designated as the Lyre-Hoko watershed, is located in Clallam County in the northwestern most part of the Olympia Peninsula, spanning from the tip of Cape Flattery to just west of the Elwha River basin. WRIA 19 encompasses the major waterways of the Lyre, Seiku, Hoko, Clallam, Pysht, East and West Twin Rivers, and Salt and Deep Creeks, which drain directly into the Strait of Juan de Fuca along with many other smaller streams. CELP has identified WRIA 19 as a critical watershed in Washington State. 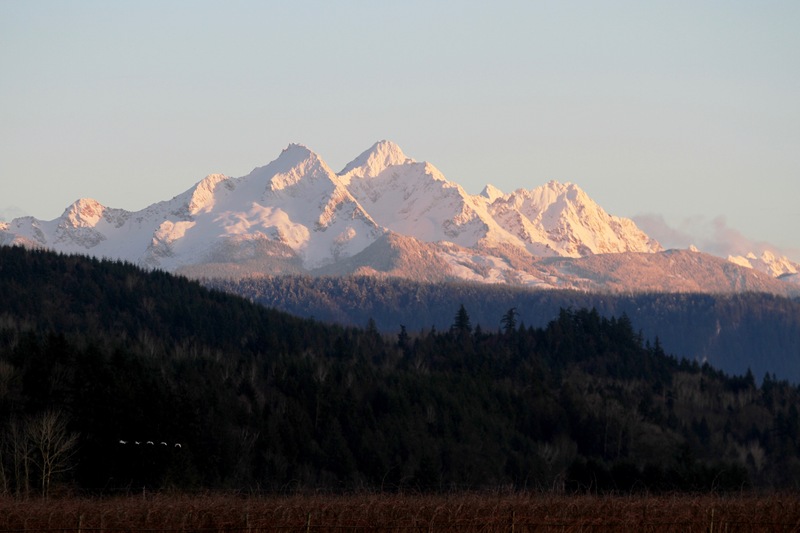 The Olympic Peninsula was one of the first three regions where Governor Inslee declared drought conditions in 2015 (the Lyre-Hoko watershed was named specifically along with the Quilcene-Snow, Elwha-Dungeness, Sol Duc-Hoh, and Queets-Quinault). WRIA 19 is also an important watershed for salmon – it encompasses 27 separate salmon-bearing rivers and streams that support Chinook, chum, and coho. Although the watersheds in the Lyre-Hoko area don’t support salmon runs listed under the Endangered Species Act, the nearshore areas of WRIA 19 serve as an important migratory corridor for salmon populations (including those listed under the ESA) leaving or entering the Strait of Juan de Fuca. According to a 2015 Salmonoid Restoration Plan for WRIA 19 published by the North Olympia Peninsula Lead Entity for Salmon, however, many of the salmon populations in individual basins are considered depressed or critical, and are projected to decline. Despite its obvious need for protection, WRIA 19 does not have an instream flow rule. Clallam County formed an official planning unit under the Watershed Management Act and initially unanimously agreed on instream flow recommendations in 2005, but disagreement over the specific numbers ultimately killed the plan in 2010 (here’s a link to the planning unit’s 2009 draft plan). 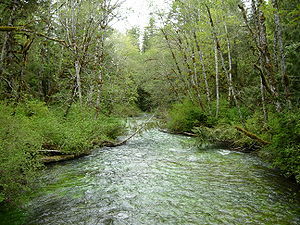 While the Makah and Lower Elwha Clallam tribes supported the proposed instream flow numbers in the interest of fish habitat and adequate stream flows, the Clallam County PUD opposed them as being too high to allow for continued development and human consumption, (the timber industry also firmly opposed parts of the plan relating to riparian buffers). With the groups at an impasse, the planning process unraveled, and no plan was approved. If a local planning unit fails to agree on a plan, the responsibility for instream flow rulemaking falls back to the Department of Ecology. Although it is unclear whether Ecology has an obligation to enact an instream flow rule in this circumstance, the fact remains that there is ample evidence that a rule needs to be put in place. In its own 2011 report on water availability in the Lyre-Hoko watershed, the Department of Ecology stated that the Department of Fish and Wildlife had recommended against issuing new water rights in sections of WRIA 19 “in order to protect fish populations.” Despite the fact that much of the requisite research and work was done in the nearly decade long local planning process, there remains no instream flow rule in place for the Lyre-Hoko watershed six years later. Ecology has provided protection for many watersheds around the state – for example, CELP worked with the Department of Ecology to successfully defend the agency’s instream flow rule for the Dungeness River in 2016. However, CELP urges Ecology to take timely action in critical watersheds like the Lyre-Hoko in order to ensure healthy flows, abundant water for future generations, and plentiful habitat for fish. If you are interested in helping to secure protections for the Lyre-Hoko Watershed, email CELP at contact@celp.org. 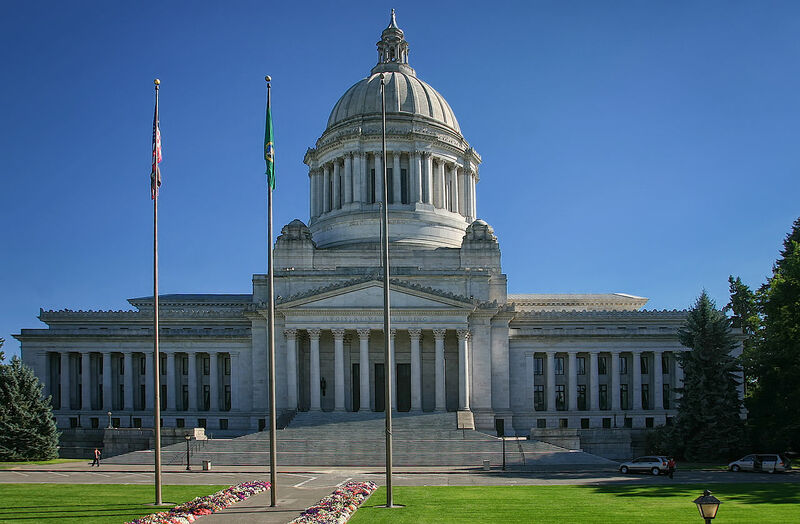 Water is a major topic in the legislature again this year, and several bills have been introduced that would undermine or overturn several key Washington Supreme Court water law decisions, including the Hirst decision on permit exempt wells handed down in October. CELP has been busy testifying on these bills in Olympia to ensure protection of Washington’s water resources. Senate Bills that CELP Opposes: These bills would negatively impact instream flows and salmon. Under current law, when a water right is transferred from agricultural use to municipal use, Ecology does a review to ensure that the water right has been in continual use (i.e.-not relinquished). This bill would avoid that review, allowing relinquished rights to be revived. House companion bill is HB 2084. This bill overturns several recent State Supreme Court decisions on water law, allowing approval of new projects that reduces instream flows necessary to protect endangered salmon. Ecology could use different tools to impair instream flows to support new land use development and other new out of stream projects. This would result in giving a super priority to permit-exempt wells, harming senior water rights holders and instream flows. This bill allows temporary, leased water to be used to mitigate ongoing use of domestic wells. Overturns Hirst and allows unmitigated development to harm existing users of water, including instream flows. Completely undermines instream flows, making them subordinate to new wells. Allows for new development to occur in rural areas without adequate water supply provided the County adopts a mitigation plan. A county is given five years to allow new development before mitigation must be in place. Follows models used successfully in Clallam and Kittitas Counties which allow salmon-friendly development. House Bills that CELP Opposes. These bills would negatively impact instream flows and salmon. 1348 Concerning the priority in the state water code assigned to various beneficial uses. Establishes that regardless of priority date, instream flows rules are always junior to the beneficial use of water for irrigation, commercial, industrial, or potable water purposes. Changes water law, and makes Instream flow water rights a lesser water right. Would destroy meaningful protections for instream flows and harm fish and other wildlife. 1349 Declaring any minimal cumulative impacts of permit-exempt groundwater wells on water levels to be overwhelmingly offset by state investments in fish habitat improvement projects. Allows for out of kind mitigation for impairment of Instream flows. Makes Instream flow water rights a lesser water right. Will harm fish and wildlife because other habitat improvements are meaningless if there isn’t enough water in the streams for fish. A water right is a right in perpetuity, but habitat improvements are not permanent. 1382 Establishing a rebuttable presumption that permit-exempt groundwater withdrawals do not impair instream flows or base flows. Establishes that permit-exempt groundwater withdrawals are presumed to not affect or impair instream flows unless “conclusive evidence” is provided proving otherwise. This would result in giving a super priority to permit-exempt wells, harming both senior water right holders and instream flows. 1394 Regarding the processing of applications for Columbia river water right permits to clarify legislative intent to ensure that the rules can be implemented as written. This bill would allow out of kind mitigation for impairment of Instream flows on the Columbia River System. It would harm instream flows and the fish and wildlife that depend on adequate water in the river. This is a companion to SB 5269. 1459 Considering the full hydrologic cycle in the review and approval process of new water uses. Changes the groundwater code and GMA such that Ecology and counties have to look at the “full hydrologic cycle” when assessing the impact of new groundwater withdrawals. This would result in impairment of streamflow, because removal of trees does not guaranty that groundwater is recharged or that streamflow is improved. 1460 Redesigning the transfer of water rights, including the statutory process of relinquishment. Changes the relinquishment statutes, requiring that Ecology provide conclusive evidence to prove water relinquishment. Establishes that water rights relinquished go into a special trust that be made available for irrigation, municipal, and other beneficial uses. This undermines water law by removing the “use it or lose it” provision designed to make sure water is put to a beneficial use. Shifting the burden to Ecology to prove that the water hasn’t been beneficially used, which is almost impossible to do. 1748 Modifying provisions within the growth management act to improve affordable housing opportunities in rural communities; Rolls back the Hirst Would allow permit-exempt wells to impair senior water rights. 1172 Encouraging low-water landscaping practices as a drought alleviation tool. In the homeland of the Coeur d’Alene Tribe, nearly a century of hard-rock mining in the Coeur d’Alene Mining District led to release of massive mining and smelting wastes into streams and rivers. The extent of the pollution is truly staggering. There would be no cleanup — no hope for protecting Lake Coeur d’Alene and the Spokane River from mining pollution — without the Coeur d’Alene Tribe. The Tribe’s work to protect and restore their homeland is historic with enduring benefits for the Tribe and indeed for all life. We wish to thank the Tribe for their assistance in providing background information for the following summary. The Coeur d’Alene Tribe were the original land managers in the Basin. For the Tribe, all things living are interconnected. Relationship with other life is based on kinship rather than human supremacy. Resources are always to be used in a respectful and sustainable manner. Decisions include how Tribal descendants will be affected seven generations into the future. Historically 4 million acres: located in what is now the Idaho Panhandle from Montana to Washington, Lake Pend Oreille to the Clearwater breaks. Lands and waters were pristine until the advent of white settlement in the mid-1800s. Since then ecological conditions changed drastically: logging practices have eliminated old growth forests, clear-cut hillsides, changed species diversity, created a highly concentrated network of roads, and displaced wildlife species; agriculture has greatly increased agricultural runoff of pesticides, herbicides and nutrients; mining has poured hundreds of millions of tons of tailings, liquid chemicals and airborne contaminants into the Basin. All of these practices derived wealth for the few, jobs for some, and left a legacy of negative natural resource impacts for all. As a result of such impacts, the Tribe decided to take action and championed some major efforts to address the many problems facing their natural resource base (the center of their culture). EPA-related work: In the mid to late 1980’s, EPA began Superfund work in the Silver Valley. The Tribe immediately became involved in the cleanup – at first informally but later through cooperative agreements with EPA. Local, regional and State politics hoped the cleanup would be contained to a $200 million cleanup within a small portion of the Basin (the 21-square-mile “box”). Through the Tribe’s oversight and incessant urging of the EPA process, the original cleanup plan has been greatly increased and has led to three Records of Decisions (ROD’s 1, 2, and 3). To date EPA has spent over $600 million and still has yet to determine agency clean up actions for the lower 20 miles of the Coeur d’Alene River and associated lakes and wetlands, or what to do with Coeur d’Alene Lake. The Tribe believes that several billion dollars of EPA cleanup is yet to come. NRDA lawsuit and the Lake Case: In 1991, the Tribe filed two major lawsuits: Tribe v. Idaho (the Lake Case) and the Natural Resource Damage Assessment (NRDA) lawsuit (Tribe v. Gulf Resources et al.) These lawsuits set the stage for what became many years of protracted litigation. The NRD lawsuit sought $3 billion dollars for the injury to natural resources brought upon by the release of hazardous substances. The Lake ownership case sought to reaffirm the Tribes ownership of the Lake so the Tribe could then proceed to address the myriad of environmental problems left unchecked by the State of Idaho. Ultimately the Tribe prevailed in both lawsuits. The Tribe has been and continues to be on the Trustee Council responsible for the development and implementation of Restoration Plan to spend the $140 million brought about through the lawsuits. Lake Management Plan Development and Implementation: The Lake is the center of the Tribe’s creation story. Their name translates to, “Those that are found here.” Although the Tribe would have wanted EPA to undertake the protection of the Lake, politics has not yet allowed this. So rather than have a Superfund cleanup for the Lake, the Tribe was left with little option but to agree to coordinate with the State of Idaho to develop and implement a Lake Management Plan (LMP) that would, in essence, be the “non-CERCLA” approach to manage lake-bed metals contamination. After seven years of lackluster implementation (due to lack of funding and no political will to enact regulations) Tribal water quality data are indicating declining water quality. This indicates the LMP is proving to be ineffective. The Tribe has asked EPA to once again revisit their “deferred” decision of what they will do to protect the environment from future heavy-metals contamination. Water Rights Litigation: 10 years ago the Tribe was forced by the State of Idaho to be a part of the north Idaho water rights adjudication process. This has been a battle to develop Tribal water claims. The Tribe now faces a trial to prove entitlement to federally reserved water rights. Avista Mitigation: After the most recent FERC relicensing process that ended in 2011, the Tribe received $100 million to conduct natural resource restoration efforts to mitigate for losses to Tribal resources as a result of Avista Corporation project operations. Tribal investments include; aquatic weed (milfoil) management, wetlands enhancement, cultural resources protection, and water quality monitoring. Recreation Management (including operation and management for the Trail of the Coeur d’Alene and Camp Larsen). 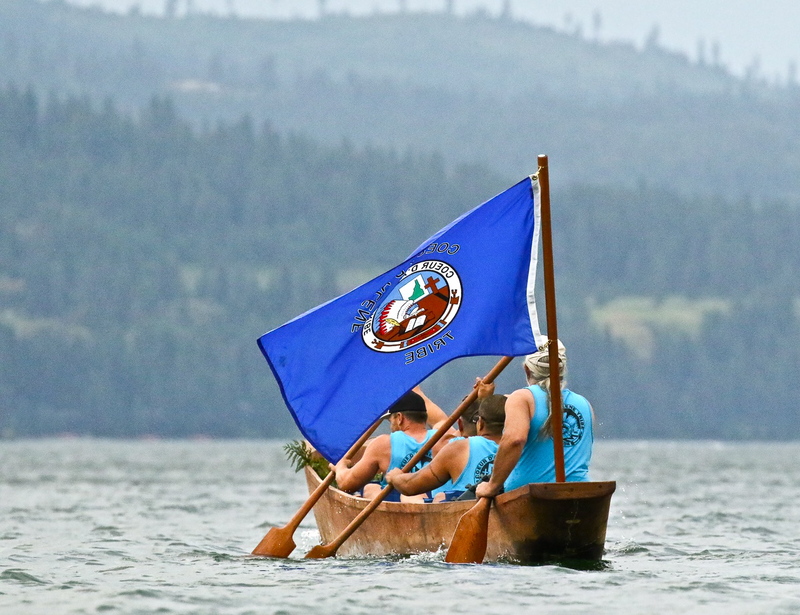 In closing, the Coeur d’Alene Tribe has taken on the leadership role as steward of their homeland’s natural elements. In order to protect and restore the waters and lands, the Tribe has engage in a spectrum of efforts from litigation to cooperative agreements. The Tribe’s unwavering dedication to it stewardship responsibilities stems from the creators’ gift of their Land and surrounding homeland. Today, the U.S. District Court Judge Salvador Mendoza Jr. ruled that the Leavenworth National Fish Hatchery is unlawfully discharging pollutants into Icicle Creek without a Clean Water Act permit. The Hatchery, owned and funded by the U.S. Bureau of Reclamation and operated by the U.S. Fish and Wildlife Service, has been doing so since 1979. Icicle Creek is a tributary to the Wenatchee River, and drains a portion of the Alpine Lakes Wilderness. 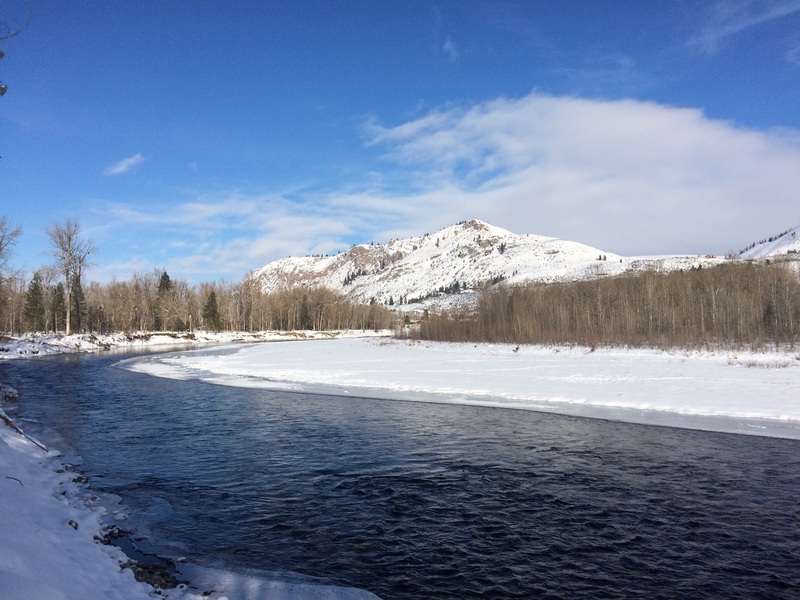 The stream is home to threatened and endangered fish species, including steelhead, Chinook salmon, and bull trout. The Hatchery is located on the banks of Icicle Creek, approximately three miles from the river’s confluence with the Wenatchee River. Since 1979, the Hatchery has been operating without a valid pollution permit. Judge Mendoza’s ruling confirms the violation of federal law. To comply with the judge’s ruling, the hatchery will need an updated pollution permit, called an “NPDES” permit, required by the federal Clean Water Act. Obtaining this permit and complying with its limits on pollutants will force the federal hatchery to undertake long-delayed upgrades, including wastewater treatment technology to protect Icicle Creek. The Leavenworth Hatchery is part of a controversial process convened by the Washington Department of Ecology and known as the Icicle Work Group. Hatchery improvements are on the list of IWG goals, but are proposed only in exchange for diverting water from the Alpine Lakes Wilderness for municipal supply for the City of Leavenworth. “The Court ruling makes clear that Hatchery improvements are required under the Clean Water Act, and are not a bargaining chip for IWG’s controversial proposals to raise dams and drain more water from the Alpine Lakes Wilderness,” noted Von Seggern. 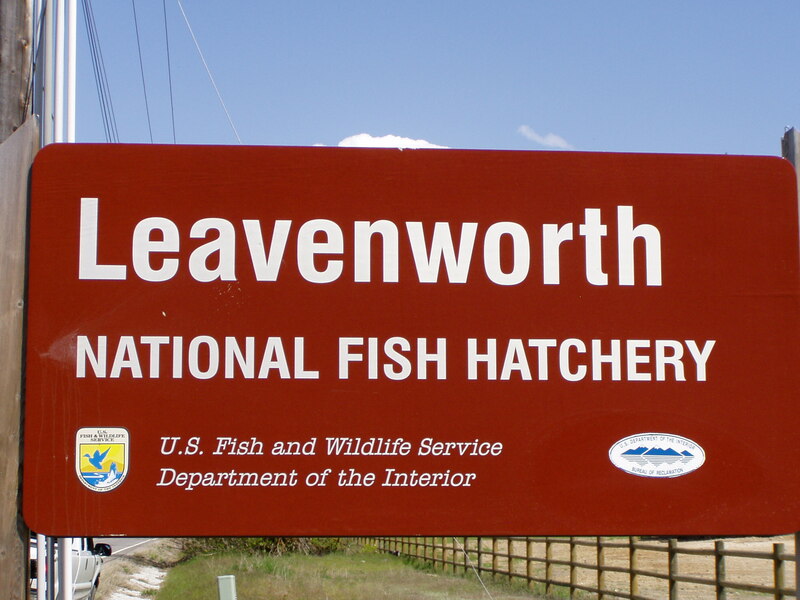 The Leavenworth National Fish Hatchery was constructed between 1939 and 1941 near Leavenworth, Washington, as partial mitigation for massive salmon losses that resulted from building Grand Coulee Dam. Wild Fish Conservancy and CELP are represented by Kampmeier & Knutsen, PLLC of Portland, OR and Seattle, WA.